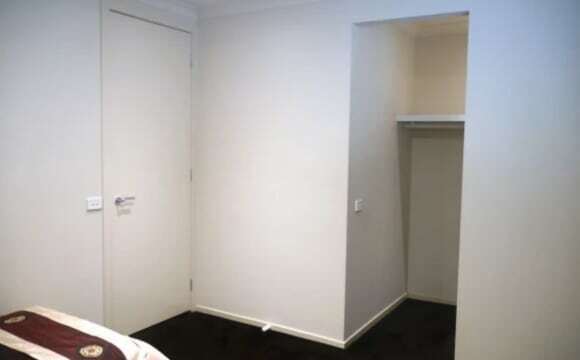 Room For rent including furniture near Schofields ST $200/Single 350/couple per week - Private room -Luxurious, Affordable, Brand new house for share Features Include - Less than 7 mins Walk to Schofields Station &amp; Woolworths from inside Altove estate which is not shown in google maps - You have your luxury private bedroom with build in robes - Modern private Bathrooms with frameless glass finish and Tiles throughout - Modern kitchen with Range hood Gas cooking, Stone bench top &amp; stainless steel appliance - Formal lounge/dining with stylish finishes and led down lights throughout - Hilltop park just 2 mins away for a kids play area and BBQ parties -5 mins drive to Rouse hill or Marsden Park Shopping Centres - Washing machine and dishwasher - Available until it’s removed - Looking for a respectful and tidy flatmate. 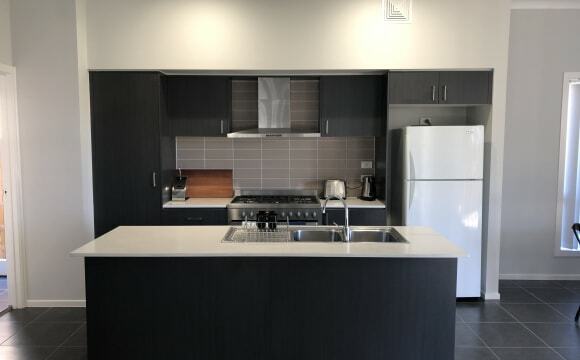 ROOM FOR RENT (SCHOFIELDS NEW HOUSE) 1 Bedroom available for rent in new 3 bedrooms beautiful double storey residence. $200pw bill included with unlimited NBN internet access available. Reasonable sized of living/dinning room, new oven, cooktop, dishwasher, laundry, large backyard, ducted air conditioning and etc. The property located at the quiet street oposite large park close to Schofelds Train Station, Schofileds Woolworth, Aldi, Rouse Hill Town Centre, Home Hub Marsden Park and Stanhope Gardens Leisure Centre. Walking distance to bus stop. House is opposite the park with perfect view. Easy going and friendly flatmates. Looking for respectful, tidy , quiet flatmate. Ideally for individual. (No couple), Non smoker. For more information please contact Jin. Air conditioned and fully furnished other then the rooms. 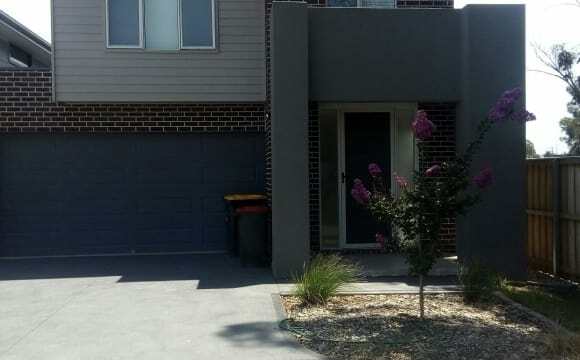 Brand new home, close to transport and shops and restraints. 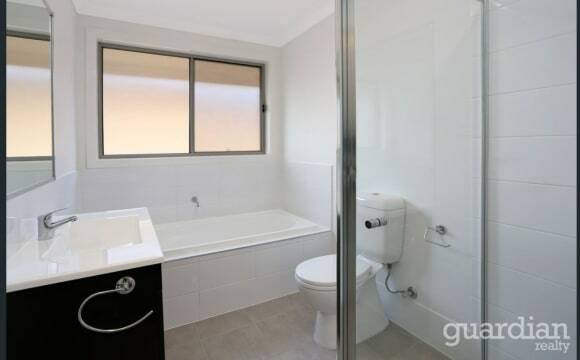 5 minute drive to Rouse hill Town Centre. having a 6 month old puppy to play with doesn't hurt either. There will only be 2 people living, which is myself and you. Walking distance to public transport and local shops. Aldi is about 10 minutes walk. And Woolworths is a couple of minutes drive. Cable fast internet. Bedroom comes with built in wardrobe. Quiet neighbourhood. Will also offer the third bedroom for an extra cost if interested. 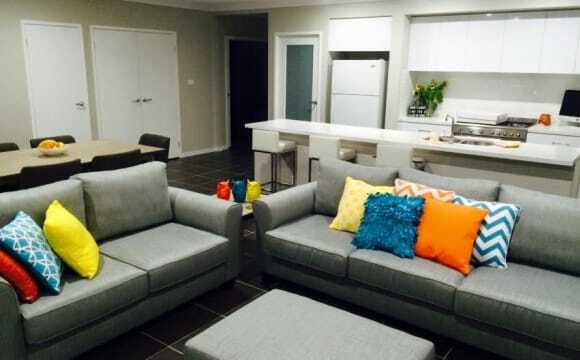 You can set up your private lounge room/TV room in there as the living room is not shared. Any other questions or inspections let me know. Are you a student studying at Western Sydney University? 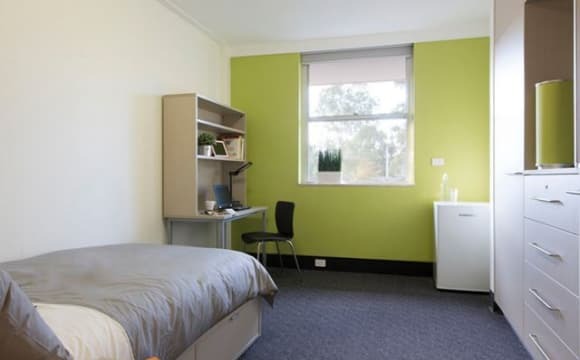 Enjoy your own fully furnished, self-catered room at Western Sydney University Village, Nirimba! Western Sydney University, Nirimba Village offers a range of stylish apartments, located right on campus at Western Sydney University. From studying to social life, we offer everything you need to make the most of your university experience! We have a range of apartments from our Lodge all the way up to a 4-bedroom apartment, the choice is yours! 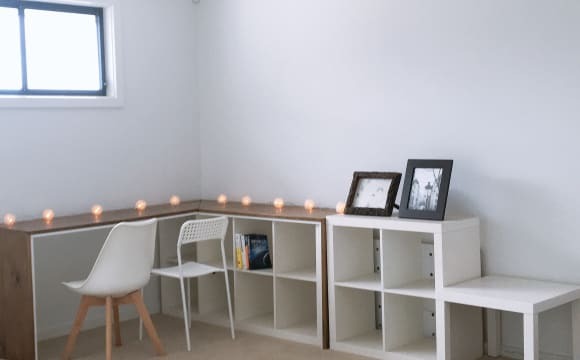 Room in a fully furnished apartment Free internet for Western Sydney University students Student Lounge with TV and pool table Laundry 24 hour support and security Rent includes all utilities (water, electricity and gas) so there are no unexpected bills during the year! Make your application ASAP to secure your place in our vibrant and lively on-campus culture! This property is central to everything. The m2 and m7 motorways are not far and public transport is close as is the shops. I like the peace and quiet here as well. 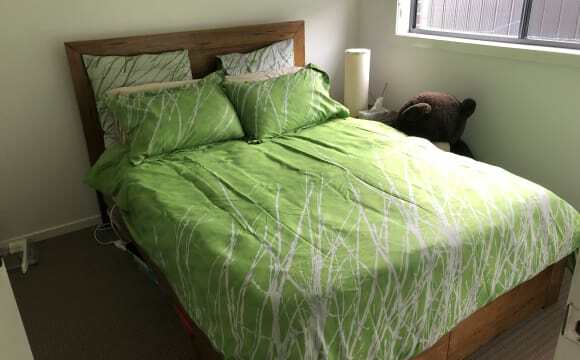 Furnished room for rent in The Ponds Looking for a great housemate to share new two storey house. Double room with built-in cupboard also own balcony. Rent includes all utility expenses, Foxtel and WiFi. House includes ducted air conditioning, outdoor BBQ, lawns mowed and minimal cleaning required. Great spacious indoor living areas and great relaxing outdoor covered area. Very clean and tidy, great atmosphere. Many recreational walkways and parks. Central location, close to public transport and railway station. 10 mins drive to Nirimba University and TAFE. 20 mins drive to Blacktown, Castle Hill, Parramatta and Windsor. 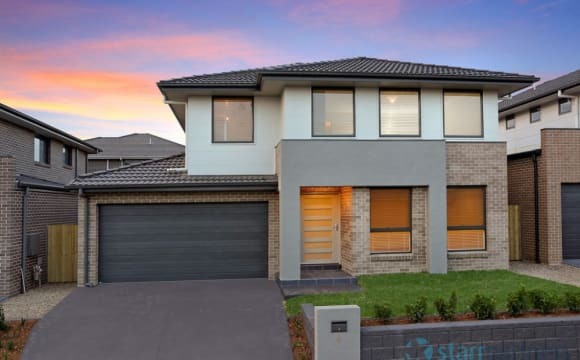 5 mins drive to both Rouse Hill and Stanhope Gardens Shops and 15 mins walking distance to The Ponds Shopping Centre; which includes Woolworths supermarket, Thai, Indian, Chinese and Sushi restaurants, also coffee shops etc. Close to Ettamogah pub, The Brewery and The Fiddler for entertainment. Well worth a look. Additional: Please note, outdoor smoking only. 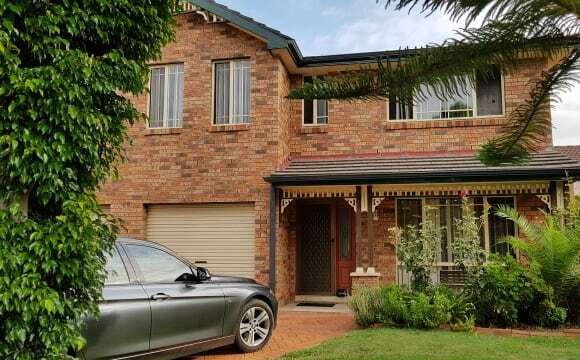 The property is beautiful and is walking distance to quakershill train station. very good nice peaceful area , close to the shops , buses , park , good for walking exercise . close to the shops , bus , school , park , very quiet and safe area . We are very genuine and friendly family .myself and my only son . The house is located on a nice beautiful quite suburb. The bedrooms are all upstairs with nice view and all have built-in wardrobes with plenty of space. The house has split system air conditioning downstairs in the lounge room. Aldi Supermarket store is probably 700 metres walk and Standhope Gardens shopping centre is probably 3km drive and about 2km to Quakers hill Station. The backyard also has large undercover BBQ area with a 6 burner BBQ. Brand New House single room rental Downstairs two rooms with share toilet $200! Upstairs, a room with independent bathroom $240! There are a total of three living room in the house, perfect for entertainment. Each living room has a sofa and a coffee table. The surroundings are elegant and quiet with lots of parking space Provides facilities: queen size bed padded, built-in wardrobe, closet, NBN network WiFi, water, electricity, gas stove, air conditioning! Nearby infrastructure: The high-speed rail will be ready early next year and it will take about 5-6 minutes to walk. High-speed rail reviews in 5 minutes, 45 minutes direct access to City CBD 20 minutes walk to The Ponds Shopping Center and Woolworth, 4 minutes by car and 15 minutes by public transport. Take a 6-minute drive to the large shopping center Rouse Hill in the Northwest District and a 20-minute bus ride. There are almost everything in this shopping center, movie theater, JB HIFI, gym! There is a huge park suitable for walks nearby, Second Ponds Creek. Suitable for friends who like sports and outdoors activity! It took 14 minutes to walk and drive for 3 minutes. 9 minutes by car to Schofields Station, bus 24 minutes. 12 minutes drive to IKEA, Bunnings Warehouse. Clothing optional, Netflix, Stan, Airconditioning in common areas. 2 Lounge rooms with tv's and an additional sitting room. Rumpus room with pool table and dining room. Off street parking and an inflatable hot tub in the backyard. Beautiful 2 storey, 5 bed house with 3 bathrooms and a huge kitchen + living area and a large backyard. The house comes with a refrigerator, modern oven, dishwasher and a washing machine. We're 5 mins walk to the future metro station, 2 mins walk to the busstops and 5 mins drive to The Ponds Shopping Center and Rouse Hill Town Center. LGBT friendly required. Hello, we have 1 furnished rooms to rent in this modern 2 storey home that has a fortnightly cleaner, regular lawn maintenance and inclusive of electricity, gas, water and unlimited internet. All you'll need to bring is your wonderful selves and personal items. The Rooms Room 1 - $230 includes a fully furnished room with a Queen bed, built-in wardrobe, bedside table, study desk and chair, wall mounted LED TV with chrome cast. 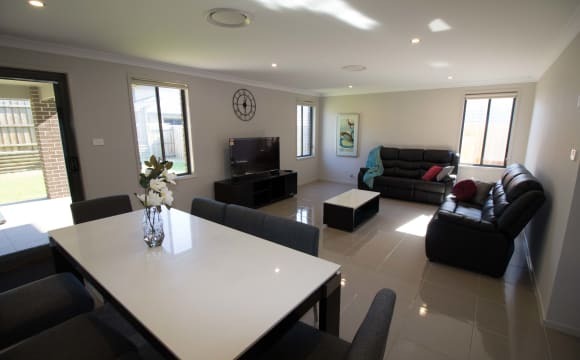 The Inclusions - Electricity, gas and water (reasonable use) - Unlimited NBN Internet (FTTP - Fibre to the premise) - Ducted air conditioning in bedrooms and common areas. 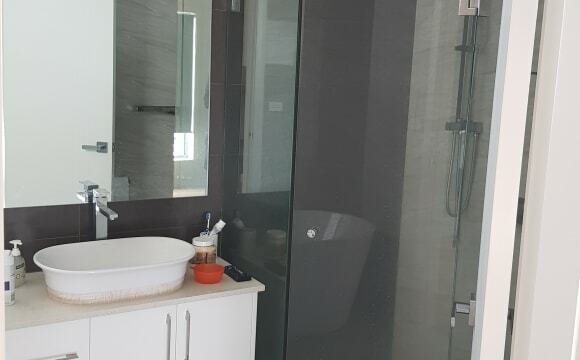 - Instant continuous (Unlimited) hot water - fortnightly cleaner to clean the common areas - regular lawn maintenance The Home There are 2 large lounge/living rooms furnished with modern luxury lounges and large LED TV’s and chrome cast. The Kitchen is fully equipped with a gorgeous 5 burner gas cooktop and 900mm oven. There are Stainless steel appliances throughout including 2 large stainless steel fridges. You won’t have to worry about pantry space as there is a great walk-in pantry to be shared. The laundry contains a 7kg washing machine as well as a dryer. On those beautiful aussie sunny days, we also have 2 large clothesline in the backyard. There is a good sized alfresco with a stylish outdoor setting to enjoy with your fellow housemates. In summary the common areas include: Gas cooking with 900mm cooktop Microwave dishwasher 2 large stainless steel fridges Walk-in pantry Washing machine Dryer 2 living areas with a TV Outdoor dining set Location This home is about 3min walk to buses and a 9min approx walk to the future Tallawong Train station. It is only a short 5min drive to the Ponds shopping centre and Rouse Hill Town Centre. Private room available (females only). Room comes furnished with Single bed, desk, chair and (triple built-in with mirrored doors). You will have your own private room but would need to supply your own linen. House has been recently renovated. Shared common areas such as kitchen, dining, lounge room, bathroom and laundry areas. Rent includes Electricity, Gas, Water and unlimited internet so there are no surprises. 2 weeks rent in advance is required and rent must be paid on time each week. Located in a very quiet location surrounded by quality homes, Split System Air Conditioning, Ceiling Fans in Bedrooms and Lounge room. Plenty of on street parking available for tenants. The property offers a lovely serene outdoor area surrounded by trees and nature. The Home is currently occupied by 2 friendly females who work and study full time. There is a maximum of 3 females living at the premises. The gardens and house are maintained by my husband and myself. We are both friendly and provide a happy, clean environment to live. If you think you would fit into our household I would love to hear from you. The ponds shopping centre approx. 100 metres and bus-stop to all suburbs and city at the door . closer to parks and other amenities . 200 metres to school and church . 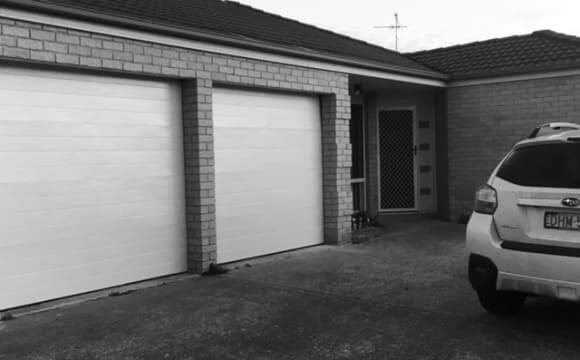 3 mins drive rouse hill centre .easy access to m2 and m7 . just enquire within for more info ,share with two people ,you will have your own private bedroom fully furnished double bed and built in wardrobe .share kitchen .Enjoy great outdoors . You have your own ENSUITE PRIVATE BATHROOM and big walk in wardrobe. 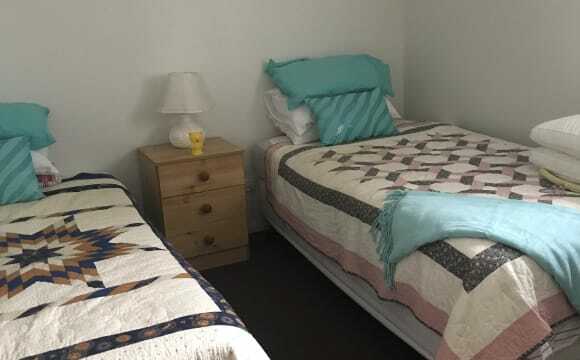 The room is extra large, quiet and peaceful room with 1 large window in the bedroom and a small window in the bathroom. There is a bus stop 1 minute away from the house that will take you to Blacktown train station and you can also walk to Quakers Hill station in 15 minutes. There is also a Woolworths and a shopping village just 5-10 minutes walk away. There is a large outdoor entertainment area with a pool table that you are also welcome to use. All bills and internet is included in rent. Come make my brand new home, your home. With loads of space and high ceilings what is there not to like. The room is unfurnished and is bright and airy with a walk in robe. Enjoy living in one of The Ponds secure Metricon built, stylish and spacious houses with ducted air conditioning, gas cooking, fully enclosed outdoor kitchen. There are also three living areas perfect for entertaining or just ‘chilling out’. This is a great spot to base yourself for work or study. All bills included. Unlimited wireless broadband, free parking! Location: Bus stops and T-way to city within two blocks away Two railway stations [Quakers Hill &amp; Schofields] within 5 mins drive. Two shopping centres within 1.5km radius and 10 mins drive to Rouse Hill Town Centre. Tennis Courts, Basketball Courts, Cricket Grounds, Heated Swimming Pool &amp; Gym within 2 km. Close to UWS, Nirimba Campus. Plenty of green and leafy parks, recreation and ponds in close proximity.